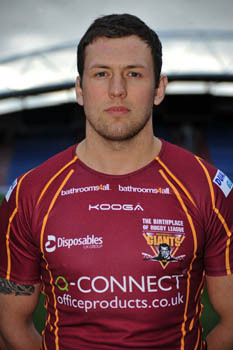 Shaun Lunt signed for Huddersfield Giants at the start of the 2009 season after impressing with Workington Town. The 22-year-old won the NL2’s Young Player of the Year award two years in a row (2006 and 2007) and is looking forward to being involved in his first season as a full-time professional. Lunt is tipped to have a bright future at the Galpharm Stadium after signing a three-year deal.